The integration of the Russian missile systems into NATO’s air defense is technically feasible, but very difficult organizationally, because it is necessary to combine software and allow the Russian systems to penetrate the heart of NATO’s unified air defense system. Therefore the deal is unlikely be finalized, says Valdai Club expert Evgeny Buzhinsky. There should be no drastic and tragic changes in relations between Turkey and the United States. Of course, for Washington Recep Tayyip Erdogan is a “complex partner”, a so-called “Sultan,” who tries to pursue an independent foreign policy. Erdogan, in turn, also has a grudge against the US for the attempted coup in 2016, when the Americans tried to liquidate him physically. However, despite all these “red lines,” the Russian-Turkish S-400 deal is unlikely to be finalized. This is a very sensitive issue. One of the US deputy defense secretaries, back in the days of Donald Rumsfeld, told me: “You can sell rifles, automatic weapons, armored vehicles, even tanks to a NATO member state, but you will never sell aircraft, warships, air defense systems, because this is not military-technical cooperation, not commerce – this is politics.” Therefore, if Russia succeeds to supply the S-400s to Turkey, it will be a fundamental political breakthrough. The Americans will do everything to prevent this. 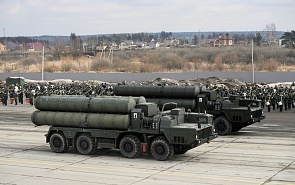 The point is that the integration of the Russian systems into NATO’s air defense is technically feasible, but very difficult organizationally, because it is necessary to combine software and allow the Russian systems to penetrate the heart of NATO’s unified air defense system (and this is not only software, there are codes, and friend-or-foe identification – a whole complex). That is why the S-400 is one of the reasons why the Americans suspended the delivery of the F-35 aircraft to Turkey. And I cannot imagine the situation when Turkey will enter into an open confrontation with the US and thereby put under question its membership in the alliance. There is the consolidated decision of the alliance from 2014 to cease any cooperation with Russia in the military sphere, and everyone adheres to it. The intra-NATO discipline is not an empty phrase. Erdogan surely demonstrates that he has an alternative: BRICS. But it is obvious that this is only a PR stunt by the Turkish president, an element of blackmail and pressure on the US and the European allies. Therefore, Vladimir Putin’s reaction was very restrained – accession of new members to BRICS is not planned, we’ll see and discuss it later. The Turks will most likely make a deal with the Americans: the contracts have been signed, the Turks have already paid their share. Therefore the US can, of course, slow down the F-35 deal, but sooner or later they will deliver the aircraft. As for the relationship between Turkey and Russia, their economic cooperation will increase. The Turks will not impose sanctions against Russia, no matter how hard the Americans will pressure them. Our relations are very good now, and they will remain the same: the Akkuyu nuclear power plant, South Stream, tourism, trade, tomatoes... But Erdogan would refuse the S-400 supplies at the last moment. There are big doubts that he will begin such a close military cooperation with Russia in the face of the US and NATO.